Members are encouraged to work in a Christian spirit to resolve disagreements. 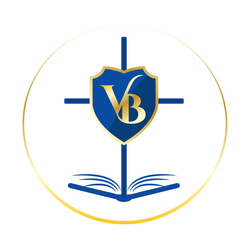 Mission Statement: VBHE was established to foster support through fellowship in a Christian environment to Grand Strand homeschoolers. We are set up as a cooperative, meaning we work together, each contributing the time he or she can, to help each other provide the best homeschooling experience for our children. · In the spirit of the VBHE Mission Statement, activities planned for a given year will take place ONLY if we can find a variety of members willing to help with a given activity. If we cannot find a volunteer to coordinate or help at a particular activity, the activity will not take place. This applies to field trips, special events, tween nights, teen nights, etc. · The Executive Board’s purpose is to assure that the group is acting fairly and running smoothly for a given year. Its purpose is not to plan and execute the majority of the activities for VBHE; those efforts are the shared responsibility of every member. · All members must comply with VBHE policies, procedures and bylaws. · Non-compliant members will be notified by the executive board with the expectation that the offense will be corrected or not repeated. · Repeat offenders are subject to disciplinary actions as determined by the executive board. Depending on the severity of the offense either a temporary suspension of membership privileges or termination of membership may be invoked. · Any member who has a grievance concerning VBHE should submit the grievance in writing to the Executive Board no less than seven days before the next scheduled board meeting. · Failure to follow any policies for the VBHE website could result in temporary or permanent loss of website privileges. · Directory – Information in the directory is considered private, and for the use of VBHE members for the sole purpose of networking and supporting one another. Members may not use contact information included in our online directory to solicit members regarding products, services, investments, etc., nor may any information from the directory be shared with or forwarded to non-VBHE members. · Forum – The purpose of forum is to foster friendships, and encourage support in a real-time format. Members may not send chain mails, conduct political discussions or send political action information (unless the political action information pertains directly to homeschooling, such as through the HSLDA.) There shall be no for-profit business or sales solicitations. (Please see Classifieds.) If you would like to suggest a new discussion topic be added, please forward your idea to a current VBHE board member. Topic may be added if approved by 2/3 board majority. a. Non-Homeschool Business – Ads may be placed only once a month. b. Personal items for sale, such as eggs, furniture, etc., may be run as needed. c. Homeschool-Related Business – Ads may be run as needed. d. Ads should be in good taste, with no profanity, and not to go against common Christian, moral sensibilities. e. Ads for businesses related to questionable behavior (ie: gambling, alcohol, or sexual) are not allowed. f. VBHE is in no way liable for purchases, investments, etc. made from members through other members. · Any website information which can be accessed only by entering a valid User name and Password is considered private, and may not be shared with or forwarded to non-VBHE members. This includes information contained in the directory, e-mails, calendar, forum, classifieds or family websites. a. New Homeschoolers or members new to the area may be exempt IF they attend one of the VBHE workshops offered throughout the year. If a workshop is not attended by March 31 of the current school year, a member will be asked to fulfill a commitment through setting up a field trip, chaperoning a social activity, helping at AAL or HEART, or as the board sees fit. e. Co-Plan or assist with a VBHE event. a. Any events requiring payment must be paid for by the date set by the event’s coordinator. Failure to make payment by set date may result in cancellation of your reservation. a. Classes must be taught from a Christian perspective, if applicable to the subject being taught. b. Schedules, Guidelines, and Commitment expectations are set by the individual boards for the co-ops. Questions or concerns regarding either program should be taken directly to the appropriate board.